It's not so long ago now when many observers thought traditional truck-based full-size SUVs would fade into history as $4 per gallon gas prices continued to bite hard during the last recession. It just shows how wrong we can be though, as they didn't just survive that worrying recession, models like the superb 2017 Ford Expedition are now positively thriving in the current market. 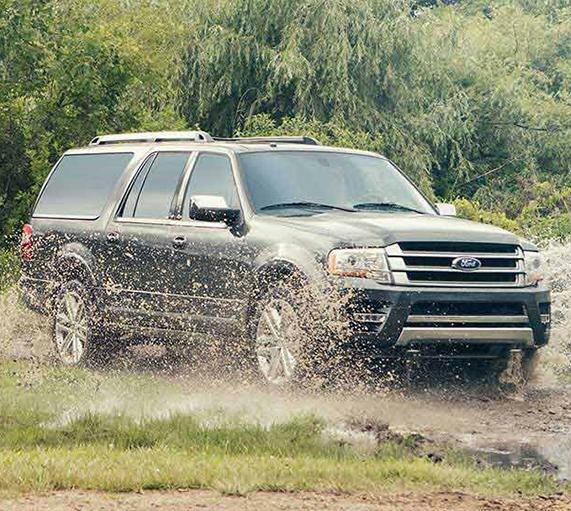 The Expedition enjoyed a light refresh a couple of years ago, and its fuel economy ratings are better than they once were. But it's got to be the capability and flexibility it brings to the party that's now returning its best sales figures for more than a decade as gas prices are low and appear to be staying that way. There have been a number of less-than visible upgrades recently to the 2017 Ford Expedition, which included several mechanical enhancements like replacing the ageing V-8 for more contemporary and more fuel efficient turbocharged V-6. The Expedition also now boasts an adaptive suspension system, a modern infotainment system, and more luxury appointments than it's ever offered in the past. It's certainly not abandoned its retro credentials entirely though, as Ford has stayed clear of anything as revolutionary as the F-150's aluminum body, for example. Compared to previous incarnations of the Expedition, the updated engine Ford has gone with this time has to be the most fundamental change to the SUV for quite a while now. The old V-8 was probably what most buyers would have expected to find under the hood at the time, but things move on, even for traditional ladder-frame SUVs. So, the V-8 has now been pensioned off to be replaced with a notably more 21st century V-6, and it's not just any old V-6 that's been dropped in there either. The powerplant in the 2017 Ford Expedition is now one of the very best units Ford has in its stable right now, which is the simply sublime 3.5-liter EcoBoost twin-turbo. Of course, there's better fuel economy to be had than there was with the V-8, but don't think for a moment there's any sort of compromise on power as this excellent V-6 develops an impressive 365 horsepower and 420 lb.-ft. of torque. 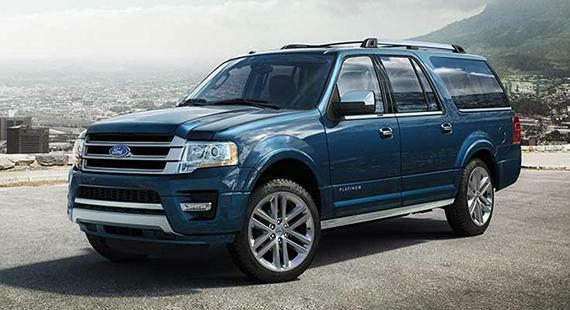 Those levels of horsepower and torque mean the 2017 Ford Expedition comes with a healthy 9,200-pound tow rating, and despite the obvious bulk on display here, this is also a seriously quick vehicle for something of these dimensions. Being big on the outside means it's only right we should expect it to be big on the inside too, and it's hard to see any potential buyers being disappointed by the space on offer here. The three-row seating offers comfortable accommodation for up to as many as eight people, but that doesn't hold the Expedition back from also offering what is a best-in-class maximum cargo space of 130.8 cubic feet. If you need plenty of cargo capacity while still being able to carry a full complement of eight people at the same time, the long-wheelbase Expedition EL is also available with 42.6 cu.-ft. of cargo space behind the third-row seating. That's yet another best-in-class claim for the Expedition, and there's even an adjustable Cargo Management System in the back for keeping everything neat and tidy. 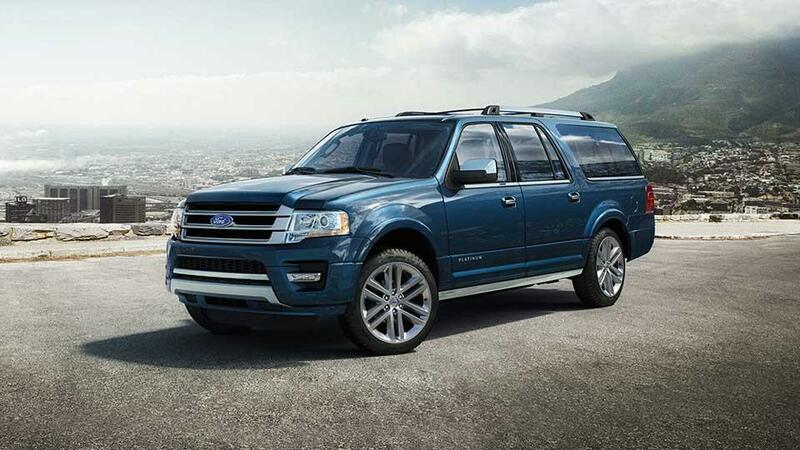 If you're still of the belief traditional body-on-frame, full-size SUVs are on the way out, a close encounter with the 2017 Ford Expedition is going to change your mind.